Our first session of 2015 featured an engaging discussion of Joshua Nadel’s Fútbol! : Why Soccer Matters in Latin America. Thirteen participants chatted with Nadel about national narratives, how soccer in Latin America fits with the global game, and what kinds of lessons the book has for Latin American history. Joshua Nadel shared his experience of writing the book and suggested future directions for research on fútbol. Participants: Alejandro Gonzalez, Andrew Guest, Chris Brown, Chris Henderson, Danyel Reiche, Edward Murphy, Javier Pescador, Matt Hawkins, Martha Saavedra, Melissa Forbis, Alex Galarza, and Peter Alegi. Audio of the session can be downloaded here. Not to complain, but it’s not easy to be a feminist and a scholar of sports. On the one hand, many researchers are hostile to feminist scholarship. On the other hand, many feminist scholars express disgust at the mere mention of studying sport, seeing it as an overdetermined site of sexism. Even scholars who have embraced the study of masculinity and recognize the importance of gender often neglect to discuss how it shapes women’s lives. In practice, this has meant that men remain the protagonists of history. In Latin America, there is a further criticism from our peers. Some argue that feminism is an imperialist imposition, an import that has distracted from the need to analyze economic and political inequalities, despite the fact that gender is a prime determinant of one’s position in both of those hierarchies. It is surprising how otherwise critical and brilliant minds react to this work. Several of the reactions can be grouped and, when taken seriously, reveal important assumptions that need to be overturned. In her excellent post, Jean Williams mentions similar misconceptions. We think it’s worth reflecting on them at length. Post-Hofstra: Now for an unconference! David Goldblatt’s keynote on the urgent need to reform soccer was a sharp, inspiring, and necessary critique of the game’s governing bodies and surrounding culture. David began by pointing to the problematic reality that the game is governed at the local FA and international (FIFA) in a corrupt and secretive largely by men who aren’t representative of the sport’s constituents (especially when considering gender and practitioners). He also brought up the pervasiveness of match-fixing and rampant commercialization that fails to channel profit into grassroots development. Pelé’s honorary degree conferral had me excited before the conference, but while at Hofstra his visit felt like more of a distraction. The star arrived forty minutes late to the ceremony, delivered a short speech, and left. I did not attend the banquet, though I did hear it wasn’t terribly exciting. At the following morning FSF panel, I couldn’t help but relate the underwhelming presence of Pelé to Simon Kuper’s biting critique of the awe fans, journalists, and academics hold for players and the spectacle of professional soccer. Kuper’s message was direct and simple; as academics we need to bring analysis and critique to our studies rather than fandom. It’s a message I can get behind, though I think there is a place for fandom, awe, and an appreciate of the ludic elements of even the professional game and its varied ties to society across the globe. Indeed, Peter and I planned that very FSF panel around the idea of a scholarly pickup game, a free-flowing discussion in which we would discuss our previously circulated posts and talk to the audience about anything related to academics and journalists covering soccer. The discussion was lively, at times heated, and was the most fruitful exchange of the conference from my personal perspective. Folks producing digital scholarship will be familiar with the THATCamp model, one in which folks assemble an ‘un-conference’ in which participants show up, suggest ideas for sessions, and break off into groups to get busy talking and doing. A fantastic next step for futbologists, as Peter might call us, would be to take the most interesting points of overlap from Hofstra and hold an unconference to get work done on those points. Such an unconference could only finish by repeating the joyful pickup at the end of the conference that left me smiling all the way back to Argentina. ¡gracias a todos! Shortly after Peter and I proposed this panel on collaboration between journalists and academics, I was contacted by a team of four young sports journalists interested in my dissertation topic. They all graduated with degrees in sports journalism, but haven’t found opportunities in investigative reporting. When we sat down for coffee, they shared a documentary they produced about horse racing in Buenos Aires that also examined the sport’s history and how it related to gender and class. 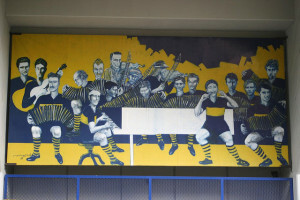 While brainstorming their next documentary, they became interested in Boca Juniors’ failed attempt to build a massive stadium and sports complex in the 1960s. The Ciudad Deportiva, or Sports City, was built on artificial islands spanning thirty city blocks in the Río de la Plata. The plans featured the region’s largest soccer stadium, a drive-in movie theatre, a fish-shaped aquarium, eighteen tennis courts, and tower with a rotating restaurant. Unfortunately for Boca Juniors, city and state officials, and the nearly 200,000 Argentines who bought raffle tickets to finance the project, rising construction costs and political in-fighting at the club doomed the project when all but the stadium was built. Boca eventually sold the property to a Soros-backed real estate development firm in 1991. Today the vacant lot sits next to a shantytown and one of the city’s most expensive districts, juxtaposing the city’s uneven development produced by neoliberalism. The story of the Ciudad Deportiva resurfaces every few years as plans to redevelop the property are proposed without success in the city legislature. Surprisingly, no history of the project exists and journalists provide few details on how and why a project with a relatively recent history failed. Searching for clues, the team of journalists who contacted me heard about my research through a mutual journalist friend and were delighted to find I had spent nearly two years of fieldwork studying the Ciudad Deportiva. Though still in the early stages of pre-production, we have decided to produce a documentary together. In the short time we have collaborated, I have learned a great deal about how journalists and academics can work together. First, we had to agree that rigorous investigation and wide diffusion were our primary goals. Neither the team nor I are seeking to turn a profit on the documentary, making it easy for me to sell the idea that we release it under a creative commons license. Working under a CC license frees us to focus on disseminating a story backed by sustained research with the shared benefit of exposure and production experience. Second, the knowledge transfer of my research so far has been made far easier by Zotero, software that allows users to collect, organize, and cite sources. I had shared sources with fellow academics through Zotero before, so the documentary team has benefitted greatly from the meticulous digitization and organization I invested time in since starting fieldwork in 2010. While the neatly organized PDFs and notes are the crystallization of tedious labor on my part, I also counted on the generosity of other academics, journalists, club officials, and fans to digitize these sources in the first place. There is little danger here in being ‘scooped’, as I have already shaped an online identity around my research topic. I had to reorganize my research library in Zotero for a new group library organized around the specific questions and goals of the documentary. These questions and goals are different from that of my dissertation, which aims to contribute toward a scholarly conversation on several historiographies including those discussing modern Argentine politics and economics, urban history, and soccer’s multi-faceted impact on society. For example, I had my work organized by archive, a mark of my discipline and collaboration with other historians working on soccer in Argentina. For the documentary it made more sense to separate sources into folders of ‘press’, ‘legislative’, ‘interview’, and ‘club document’ sources. My collaborators will spend the next month during pre-production working with me in the archives and conducting interviews. Their perspectives as local sports journalists lend a new dimension to my work and analysis, while allowing them to immerse themselves in the sources that are shaping our documentary’s narrative. The documentary is also forcing me to synthesize analysis on sources for the purpose of sharing it with my journalist collaborators in a timely fashion, a healthy challenge I think from the longer timelines social scientists and humanists are used to. 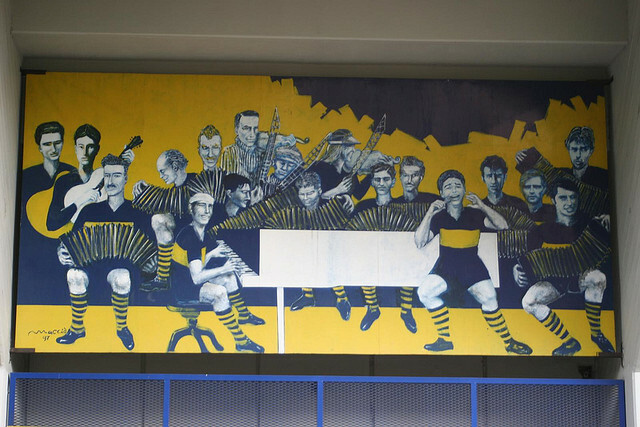 Surely more challenges await us as a team, but we are motivated by a shared interest in telling a story that reveals the impact the Ciudad Deportiva had on Buenos Aires. Dr. Brenda Elsey is an associate professor of history at Hofstra University and the author of Citizens and Sportsmen: Fútbol and Politics in Twentieth Century Chile. Follow her on twitter @politicultura. Reflecting on his time in the editorial pages of Mexican newspapers, the historical anthropologist Claudio Lomnitz commented, “In times of peace and prosperity, when there has been broad hegemony, historians tend to be perceived as ornamental.” That is nowhere truer than in the U.S., where, unlike other parts of the world, academics rarely enter the world of punditry. During Olympic and World Cup years, however, there is greater crossover between critical sports scholarship and mainstream media. So-called, “human interest” stories tend to either frame these tournaments as disasters in the making or, alternatively, as exhibitions of sports’ unique capacity to unite humankind. All the while, one wonders how corporate sponsorship and market imperatives shape the terms of coverage. Thornier yet, is the investment all of us have in the claims of sports’ importance. It’s a hard place for those of us trained in nuance, context, and deep research. The U.S. academy has faced anti-intellectualism for as long as it has been around. Despite accusations that we’re too busy drinking lattes to care about the “real world” scholars have sought to apply their work to relevant social problems. This shouldn’t be surprising given how cosmopolitan higher education has become. To be a leading university, specialisms are expected in Africa, Latin America, and Asia. In terms of sustained dialogue across borders, academics tend to be disproportionate to the U.S. sports’ audience. I’ll never forget my disappointment reading my favorite childhood sports’ columnist, Mitch Albom of the Detroit Free Press, railing against soccer and celebrating the insularity of U.S. sports. Sport attracts reading publics to worthwhile stories that they might otherwise have no interest in, and both journalists and social scientists have used this to good effect. If I can get students interested in the struggle of Chileans to construct a vibrant, diverse, and just political system by talking about the 1962 World Cup, that is a victory. 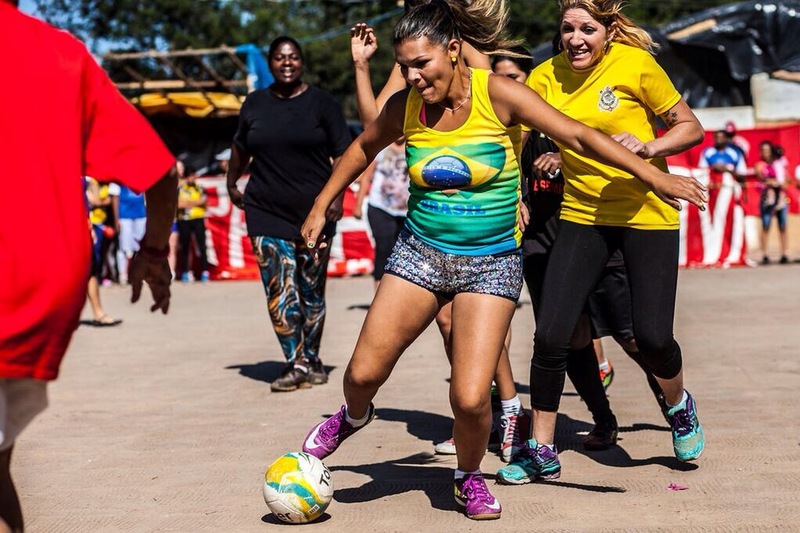 The solidarity they feel with players trying to maintain civility in the face of a brutal dictatorship is worth exploiting their passion for soccer. The Pinochet regime’s use of stadiums for torture and illegal detention, as well as its orchestration of the national team’s appearances to bolster its legitimacy is also a story screaming to be told and connects Chile to Argentina, Germany, China, and other parts of the world. And, I wouldn’t know any of this if it weren’t for journalists chronicling it. Scholars have moved closer to journalists in the digital age. Social media and digital databases have at once expanded and contracted audiences. This, I think, is largely positive for academics, albeit they are still connecting with a specialized audience. Without the same constraints as print journalism, academics can wield their footnotes and forgo the “common denominator” of traditional media audiences. One of the brightest spots over the past year has been the Far Post series, which has included important pieces by Laurent Dubois and David Patrick Lane. It’s long form journalism, with enough research, timeliness, and discussion of soccer mechanics to crossover. Unfortunately, fast dissemination via digital platforms also means it’s easier to plagiarize. In the academy, the premium on “originality” of ideas makes this a horrifying prospect. Plenty of us have been interviewed for publications ranging from ESPN to school newspapers, only to see our work buried or replicated, rather than credited. In Chile, I’ve had pieces plagiarized before they can be translated. In the last twenty years or so, there’s been a notable shift among sports journalists away from a staunch refusal to recognize the politics of sport. In the past, this set them at odds with critical studies of sport, whether because journalists tended to define politics very narrowly or because of their notion that sport was a “free space.” This supports a conservative position that defines the status quo as apolitical. In recent years, sportswriters like Dave Zirin, David Goldblatt, and Grant Wahl have taken their colleagues and subjects to task for supporting homophobic, racist, and corrupt practices in sports. Here, journalists have a harder job since they have a more tangled relationship to their informants. Historians brutally analyze and categorize their subjects, since they’re mostly long gone. I hope to be a resource for those journalists, even if I probably won’t ever be that “one” historian who can make headline statements. In the meantime, I’ll work on answering the questions people ask when they first hear I write about the history of soccer. These present in the following order: Who should I root for during the World Cup? Who’s the greatest player ever? Should instant replay be employed? 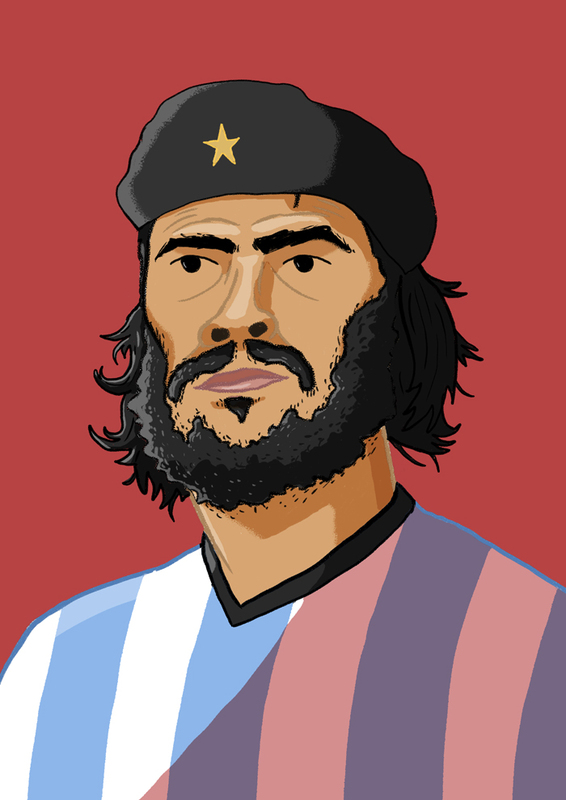 The quick answers: Chile, Pelé (with Garrincha), and definitely not, because as historians and journalists agree, it’s all about the drama. Editors’ note: FSF is hosting a panel at Hofstra’s “Soccer as the Beautiful Game” conference on April 12, 9:30AM. The purpose of the panel is to provoke discussion and debate on how journalists and scholars can inform our respective work. Alex, Peter, Brenda, John Foot, Grant Wahl, and Simon Kuper will be producing a series of blog posts exploring here on footballscholars.org. The posts will discuss how academics and journalists deal with sources and methodologies, topics, audience, market logic vs academic logic, and the role of digital tools in the writing and dissemination process. Each panelist will post over the next few days, starting with Simon Kuper below. Simon Kuper is a Financial Times columnist and author of numerous books on football including Football Against the Enemy and Soccernomics. Follow him on Twitter at @kupersimon. In 2007 the Turkish football club Fenerbahce celebrated its centenary by staging something called a “100th Year Sports and Science Congress”. Fenerbahce flew me to Istanbul to give a talk, and while there I met a British economist called Stefan Szymanski. 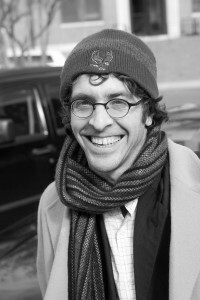 (He’s now an economics professor at the University of Michigan.) I’d come across his work by then, but academic economics very rarely penetrated into sportswriting, and I don’t think I’d ever written about it before. Stefan and I began to talk, first at the conference and later over beers in the hotel bar. What struck me was that everybody had views on soccer, but Stefan’s were actually informed by data. That’s not something you encountered much in sportswriting. By the time we left Istanbul we’d agreed to try to write a book together, a sort of Freakonomics for soccer. The book, Soccernomics, contains ideas from both of us. It’s a genuine collaboration. But a lot of it came directly from Stefan’s academic writings. He would send me a paper that had appeared in an economics journal, and had been read only by specialists, and I would think, “This is fascinating”, and try to rephrase it in layman’s terms. I work for the Financial Times, and once spent two years there in the economics department, so I had some experience of this kind of thing. Many of Stefan’s arguments challenged conventional sportswriters’ wisdom. Crucially, he showed that averaged out over a period of about ten years, the correlation between a club’s wage bill and its average league position is typically about 90 per cent. In other words, salaries tend to predict brilliantly where a club will finish in the table. That didn’t leave much room for other factors to matter. Consequently, Stefan thinks that coaches have far less influence on results than is commonly assumed in soccer talk. And he found that transfer fees were a much less efficient way than salaries to buy success. The correlation between a club’s net transfer spending and its league position was pretty weak. There’s a lot more of Stefan’s academic work in the book. For instance, he used econometric methods to show that black players at English clubs suffered wage discrimination until about 1990, but not thereafter. 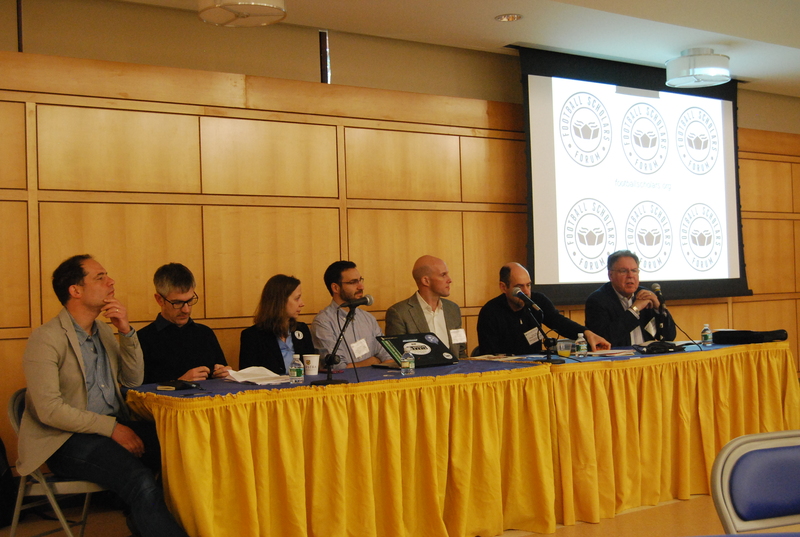 One of the issues for discussion at our “Football Scholars Forum” at Hofstra University on April 12 is “the impact of digital tools in the writing and dissemination process”. Stefan and I actually found the old-fashioned book pretty effective. Soccernomics first appeared in 2009, and has sold about 200,000 copies in nearly 20 languages. I think it has had some marginal influence on soccer talk. 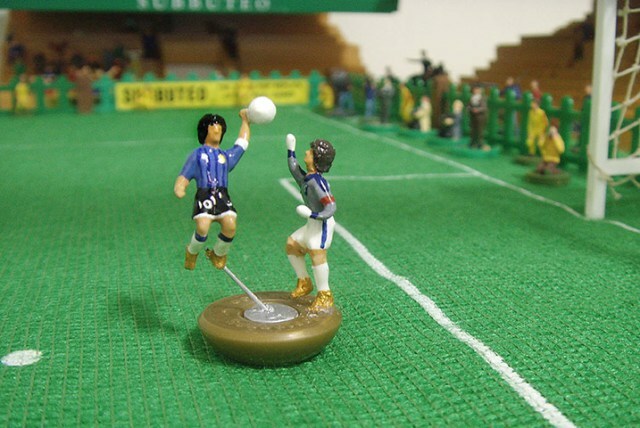 True, many soccer fans instinctively reject some of our findings. They often struggle to accept, for instance, that the coach – the most prominent voice and face of his club – generally doesn’t have much influence on results. I certainly wouldn’t claim that we’ve proven any of our arguments beyond doubt. That’s almost impossible to do in economics. But some commentators do now take our findings into account. I understand the pressures that push academics into using specialized language. As an old girlfriend of mine once told me, explaining why she’d written an academic paper on Jane Austen in almost impenetrable jargon: “If you don’t use the jargon, the other academics think you don’t know it.” But that leaves a role for journalists like me to try to popularize academic findings without dumbing them down. I think that often it can be done. *Please leave comments below to stimulate discussion for our session at Hofstra. On March 25, FSF members met for the second spring session with a new format. Participants picked a diverse array of new and classic books from around the world published in English, Spanish, Portuguese, and German. 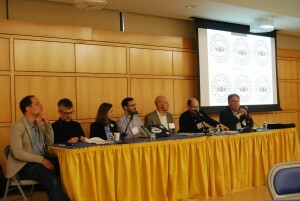 Participants included Alex Galarza, Peter Alegi, Melissa Forbis, David Kilpatrick, Andrew Guest, Brian Van Wyck, Rwany Sibaja, Christopher Gaffney, Liz Timbs, Ben Dettmar, Javier Pescador, and Austin Long. The audio recording of the session can be found here. Thank you Liz Timbs for live tweeting and Storifying the #FSFMarch hashtag here. The Football Scholars Forum 2013/14 season continues on March 25, 3pm ET (-4 GMT), with a special session in a tasty new format. For the first time, FSF members gather via Skype to report on a number of different fútbol books rather than discuss a shared reading. The aim is to provide a snapshot of the “State of the Field.” Each participant is presenting a seven-minute review of a recently published book or classic in English, Spanish, Portuguese, and German. For more details contact Alex Galarza or Peter Alegi. You can also follow the session live on Twitter with hashtag #FSFMarch. 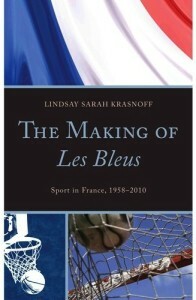 On February 12, FSF kicked off the second half of the 2013-14 season with Lindsay Krasnoff and her new book, The Making of Les Bleus: Sport in France, 1958-2010. Sixteen participants were able to join our invited author for a lively discussion of her work. The conversation centered on France’s role in hosting major sporting events, how football and basketball related to other sports, and the tensions of public and private support in youth development. Krasnoff also shared her experiences in writing the book while balancing her work at the U.S. Department of State and selecting her topic as a graduate student. Liz Timbs created a Storify of tweets with the #fsflesbleus hashtag here. Mark your calendars! On Tuesday, February 26th at 8pm Eastern Standard Time we will be holding our first session of 2013. Our session will feature three works from Steven Apostolov, Tom McCabe, and Gabe Logan on aspects of soccer history in the United States. You can already find Steven’s article on Massachusetts soccer history here. (For more details about Steven’s work read this interview with him.) Tom’s chapter from his new book manuscript on northern New Jersey is here. Gabe’s chapter on Chicago soccer, showing the rich soccer diversity the city offered to its immigrants and native players alike, can be found here. David Kilpatrick, freshly minted as official historian of the New York Cosmos, will moderate the discussion. (FYI–check out his recent article on the Arsenal visit to Long Island in January 1986 in the NY Times Goal blog.) Members are welcome to submit questions for our authors to him by email before 2/26 (DKilpatrick [at] mercy [dot] edu). Finally, our next two spring 2013 sessions are taking shape. Stay tuned for announcements as we are working on bringing Stefan Szymanski of Soccernomics fame to East Lansing.